High performance synthetic motor oils designed for modern passenger cars and commercial vehicles fitted with diesel particulate filters (dpf) and catalytic convertor exhaust emission control systems. Super LS 5W-30 is formulated to meet the performance demands and requirements of the most up to date VW/Audi specifications VW 504.00 and VW 507.00 which encompass high standards of emission control and ultimate engine protection. This product is also suitable for use in a wide range of passenger cars and light commercial vehicles (including many Honda, Hyundai, Kia, Nissan, Subaru and Toyota) where the following specifications are required. A versatile high performance engine oil primarily designed for use in General Motors / Opel & Vauxhall cars and vans but also suitable for use in a wide range of other petrol and light duty diesel engines. 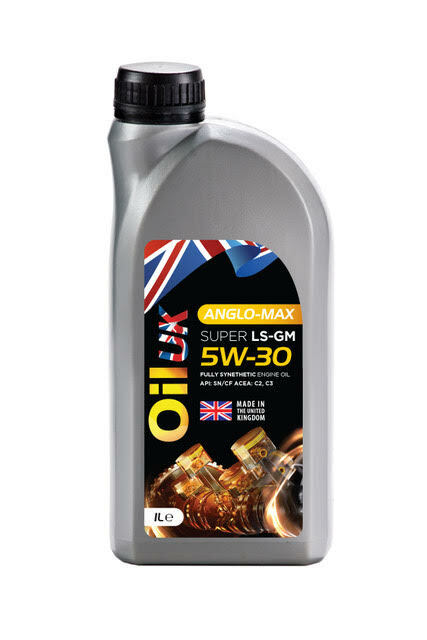 OIL UK ANGLO-MAX SUPER LS-GM 5W-30 is a new generation fully synthetic multigrade engine oil formulated from premium hydrocracked synthetic base stocks, the very latest detergent-dispersant additive package and shear stable polymers. The reduced levels of SAPS (sulphated ash, phosphorus and sulphur) in SUPER LS-GM 5W-30 ensures compatibility with after treatment systems, such as particulate filters and catalytic converters, and its frictional characteristics promote a reduction in fuel consumption. 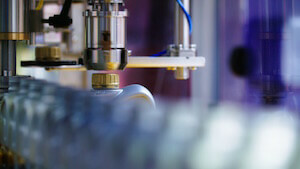 A highly advanced long life engine oil with multiple applications. Ideally suited for use in VW PD engines as well as Vauxhall engines requiring the dexos 2 specification. An optimised viscosity grade combining maximum protection with low temperature fluidity. Developed primarily for modern Ford vehicles requiring the WSS-M2C950-A specification. In addition, this product is recommended for applications requiring an ACEA C2, SAE 0W-30 specification making it suitable for a variety of makes including Toyota, Honda and Kia. Developed for the latest Blue HDi engines fitted to Peugeot and Citroen models as well as many petrol engines used in modern Peugeots and Citroens. Anglo-Max Super LSC 0W-30 is compatible with Selective Catalytic Reduction (SCR) systems as well as Diesel Particulate Filters (DPFs). 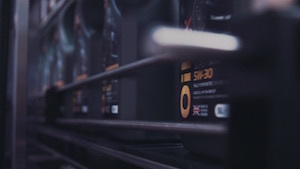 OIL UK ANGLO-MAX SUPER LSH 0W-30 is a new generation fully synthetic multigrade engine oil formulated using the latest developments in synthetic technology together with the most up to date advancements in additive chemistry and sets new standards in engine oil performance. ANGLO-MAX SUPER LSH 0W-30 has been developed to enable outstanding performance to be provided along with full compatibility with emission control after treatment systems. Low SAPS (sulphated ash, phosphorus and sulphur) additive technology allows optimum performance of these systems, including particulate filters, which ensures a high level of continuous pollution control thereby minimising environmental damage. ANGLO-MAX SUPER LSZ 5W-30 is a new generation fully synthetic multigrade engine oil formulated using the latest developments in synthetic technology together with the most up to date advancements in additive chemistry and sets new standards in engine oil performance. New generation latest technology synthetic motor oils designed to provide outstanding performance and engine protection in all driving conditions. A high performance, fully synthetic multigrade engine oil formulated to meet the long life requirements demanded by GM / Opel & Vauxhall. This grade sets new standards with regard to engine cleanliness and offers high levels of fuel economy and unrivalled protection for modern petrol and diesel engines. 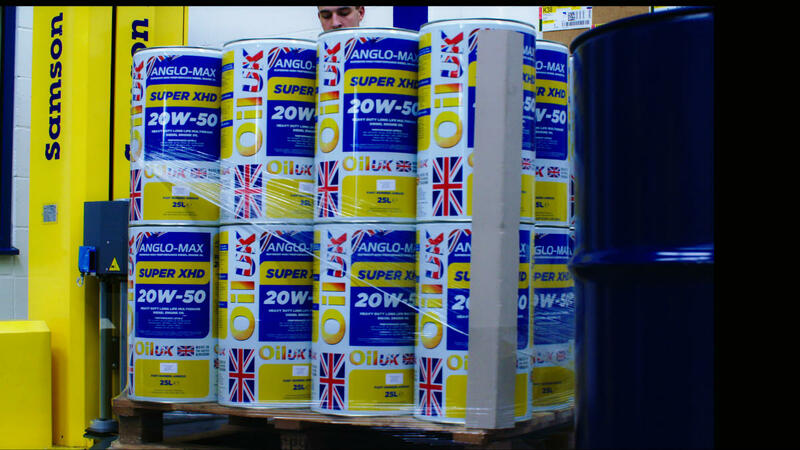 Anglo-Max Super S 5W-40 is a modern, high specification petrol and diesel engine oil which provides outstanding performance. It offers quicker oil circulation for improved cold starting properties and higher lubricity for reduced internal friction compared with standard mineral based engine oils. A fully synthetic highly advanced engine oil formulated to cope with the extreme lubrication demands of high performance, high speed petrol and diesel engines. Anglo-Max Super XHS 5W-40 is an excellent choice for passenger cars and light commercial vehicles. A premium quality engine oil which, as a result of its specialised formulation and low viscosity, provides significant fuel saving benefits. Anglo-Max Super V 0W-20 also possesses exceptional low temperature characteristics enabling fast circulation even in the most demanding cold start conditions. Particularly suitable for Volvo passenger cars. OIL UK ANGLO-MAX SUPER XHS 0W-20 is formulated to meet the extraordinary demands of high engine protection at a fuel-efficient low viscosity. It provides significant fuel saving benefits, exhibits outstanding thermal and oxidative stability and excellent protection against corrosion. OIL UK ANGLO-MAX SUPER XHS 0W-20 is strongly recommended for many of the latest petrol engines in Honda, Toyota, Mazda and Suzuki vehicles. It can also be used where an SAE 0W-20 meeting the API SN/SN-RC or ILSAC GV-5 specifications is called for. Anglo-Max Super XHS 0W-40 provides outstanding performance and durability. It offers quicker oil circulation for improved cold starting properties and higher lubricity for reduced internal friction compared with standard mineral based engine oils. Anglo-Max Super XHS-FD is a fully synthetic multigrade engine oil formulated with highly refined synthetic base stocks and the very latest in advanced additive technology. The carefully selected components combine to provide the user with improved fuel economy benefits, greater robustness to fuels containing increased levels of biodiesel and superior soot handling properties. This highly stable, stay-in-grade product allows extended oil drain intervals to be achieved. ANGLO-MAX SUPER GM-S 5W-30 has been developed to provide excellent performance in all driving conditions, and contains special additives to reduce the low speed pre-ignition and chain wear issues, which can effect some turbo charged and petrol direct injection engines. ANGLO-MAX SUPER FS 5W-30 is a fully synthetic, high performance, fuel economy engine oil meeting the requirements of the Ford WSS-M2C913-B specification. This high quality motor oil is a balanced blend of synthetic base stocks fortified with state-of-the-art additive technology which produces an exceptional engine oil offering enhanced protection and fuel economy. Anglo-Max Super XHS 10W-40 is a semi synthetic fuel efficient multi-grade engine oil for use in a broad range of passenger cars and vans. 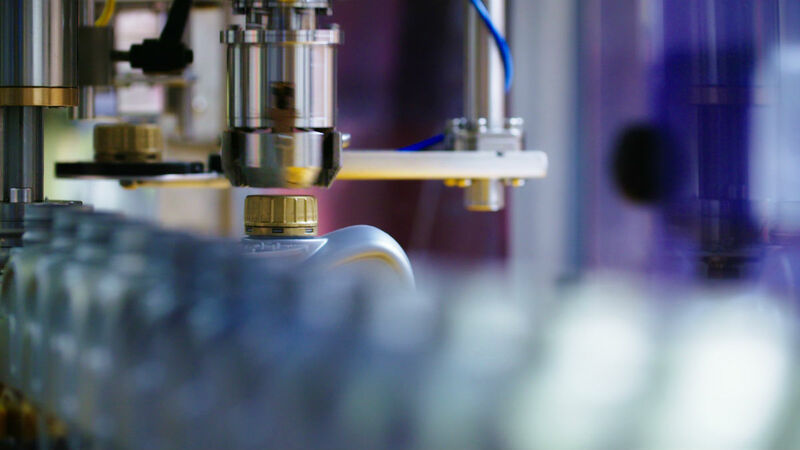 It incorporates high quality synthetic and mineral base stocks combined with advanced polymer and inhibitor technology to create a highly durable, stay-in-grade modern engine oil. Anglo-Max Super Motor Oil 5W-30 is a high performance semi-synthetic engine oil formulated from severely refined base oil combined with a high level of synthetic components to give outstanding performance under the most arduous conditions. This product is suitable for a wide range of vehicles and is also recommended for use in Ford Zetec engines. OIL UK SUPER X-SN is a range of four semi-synthetic engine oils designed to meet the lubrication requirements of modern petrol and diesel passenger cars and light commercial vehicles. 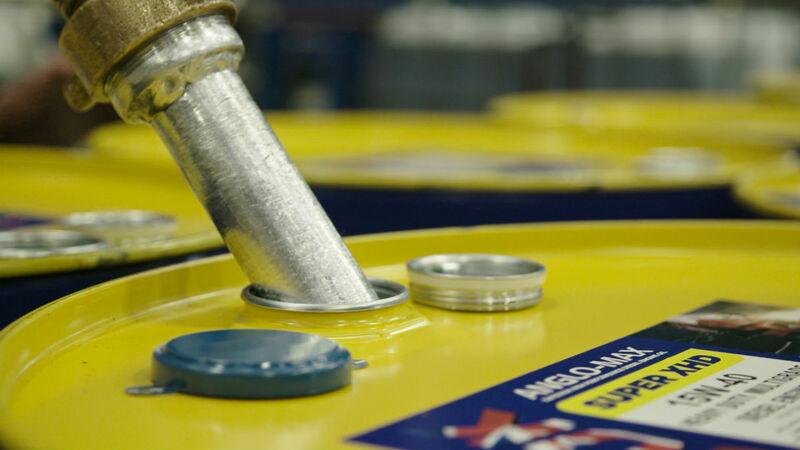 This range utilises advanced semi-synthetic oil technology to secure the very latest American Petroleum Industry (API) specifications, and are suitable for use in all operating conditions, whatever the season. OIL UK SUPER X-SN MOTOR OILS are designed to give vehicle owners confidence of protection beyond that of conventional oils. OIL UK ANGLO-MAX SUPER SN 15W-40 & SN 20W-50 are high performance engine oils formulated to meet the severe lubrication requirements of passenger cars and heavy duty commercial vehicles. 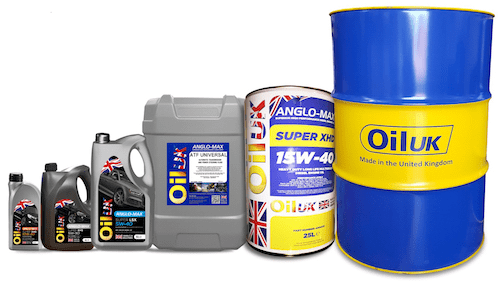 OIL UK ANGLO-MAX SUPER SN 15w-40 &SN 20W-50 new generation multigrade engine oils are manufactured from carefully selected base oils and the very latest additive technology, and meet the majority of the latest engine builder requirements and specifications. 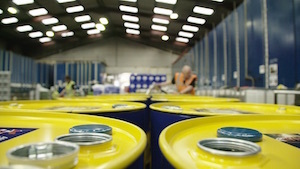 They can be confidently supplied for most mixed fleet applications. 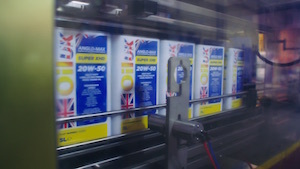 Anglo-Max Super Plus 15W-40 and 20W-50 are high performance mineral engine oils for normally aspirated and turbo-charged petrol and diesel passenger cars and light commercial engines. These oils provide outstanding engine protection and contain special synthetic additives to prevent sludge and foam formation in addition to preventing component rust and corrosion. Anglo-Max Super Plus 15W-40 and 20W-50 give super performance in all driving and weather conditions. 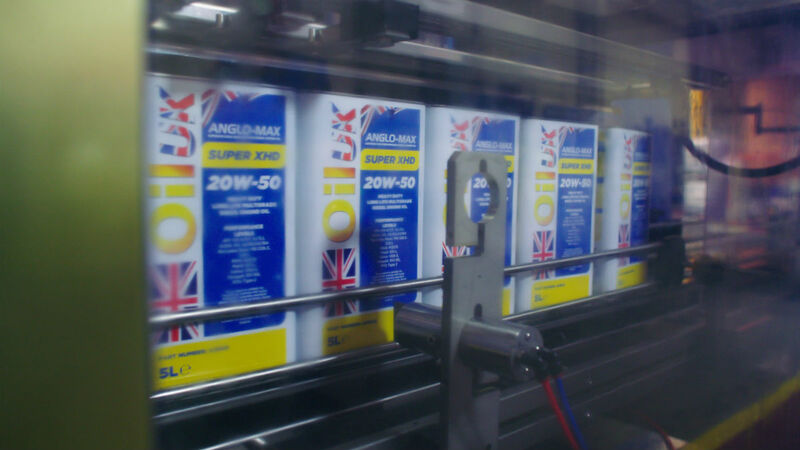 Anglo-Max Super Plus 15W-40 and 20W-50 are high performance mineral engine oils for normally aspirated and turbo-charged petrol and diesel passenger cars and light commercial engines. These oils provide outstanding engine protection and contain special synthetic additives to prevent sludge and foam formation in addition to preventing component rust and corrosion. Anglo-Max Super Plus 15W-40 and 20W-50 give super performance in all driving and weather conditions. OIL UK SUPER RACING OILS 0W-40, 5W-50, 10W-60 are modern ultra-high performance engine oils formulated to meet the increased power and efficiency demanded by modern engine designs. These superb quality lubricants are engineered using 100% specially selected synthetic base oils and highly advanced additive technology to provide ultimate engine and component protection in modern high performance vehicles. 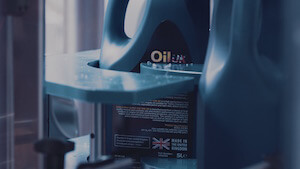 OIL UK SUPER RACING OILS are designed to maximise performance by providing very high levels of thermal and oxidation stability, engine cleanliness and component wear protection even under the most severe driving and stress conditions. OIL UK ANGLO-MAX ULTRA RACING 0W-40 is a new generation ultra-high performance, fully synthetic, top tier engine oil designed to meet the most exacting demands of modern engine designs. Anglo-Max Ultra Racing 0W-40 is an intricate blend of synthetic esters, highly branched isoparaffinic polyalphaolefins, pour point depressant, viscosity modifier and a specialised additive package, designed to give outstanding performance and engine protection. This superb engine oil is designed to maximise performance by providing very high levels of thermal and oxidation stability, engine cleanliness and component wear protection even under the most severe driving and stress conditions.